The NDS Dome S10 Radiology Display enables the next great advancement for mammography with the brightness and speed for tomosynthesis. 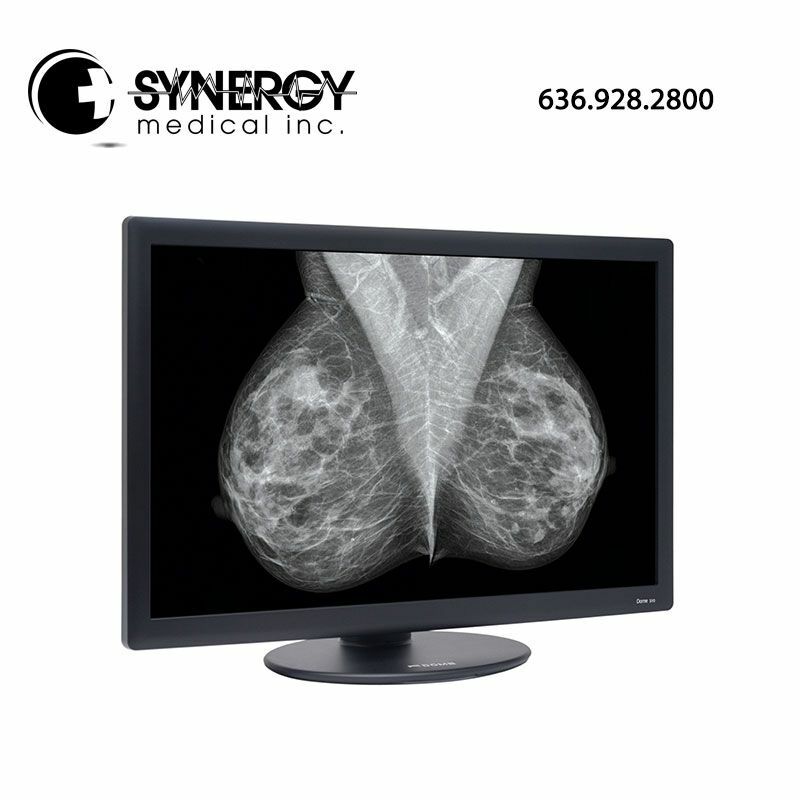 The NDS Dome S10 Radiology Display is capable of showing two 5MP images for back-to-back chest wall reads. For more information on the NDS DOME S10 Radiology Display, please visit ndssi.com. DICOM Always – Dome monitors are factory characterized using a NIST-traceable photometer. True DICOM out-of-the-box, even without CXtra calibration software installed display will be calibrated to DICOM and maintain target brightness through RightLight photometer and control. DOME monitors require no further calibration for lifetime of the display. Dome displays offer Long Term Reliability with data to back it up. High-Precision Look Up Tables (LUT) – Extra fine control of gray shades and near perfect DICOM conformance. RightLight rear photometer and control – Performs backlight stabilization and reports real-time brightness measurements. RightCheck front photometer – Performs precise measurements for local and remote DICOM conformance check without user intervention. Light Weight 24 lbs. with stand. Low Power Consumption 90 watts typical. No Protective Glass – Protective glass traps heat, reduces brightness and adds reflections. LCD glass has same hardness index as protective glass. No Internal Fans – Intelligently engineered for sleek low power, fan-less design. Mechanical fans make noise, consume power, draw dust and could malfunction. The Dome S3 is an innovative display system equipped with Dome RightCheck front sensor technology. The S3 delivers high luminance and contrast and superior image quality ideal for diagnostic imaging. The Dome E5 is designed for the display of high-resolution grayscale images such as mammography. The DICOM out of the box Dome E5 has a high contrast ratio, incredible viewing angle and high brightness, providing users with the imaging confidence they need. The Dome E3 display is a high-resolution display that exhibits superior image fidelity, exceptional brightness and excellent viewing angles. Complete with Dome CXtra software for your QA needs, the Dome E3 is an ideal choice for confident diagnostic viewing. SYNERGY medical is a national volume reseller for the NDS Surgical Imaging & DOME Radiology monitor product lines. The Dome radiology monitor product line consists of a comprehensive portfolio of 510(k)-certified radiology monitors for use throughout the hospital, complete with intervention-free digital imaging and communications in medicine (DICOM) calibration and Dome enterprise management software. Dome radiology monitors are DICOM calibrated in the factory from the front center of the screen using a high precision light meter. The white level is monitored and maintained using a light sensor in the back of the display. The Dome radiology monitor is factory calibrated for life. Dome radiology monitors are trusted in the world’s top hospitals.